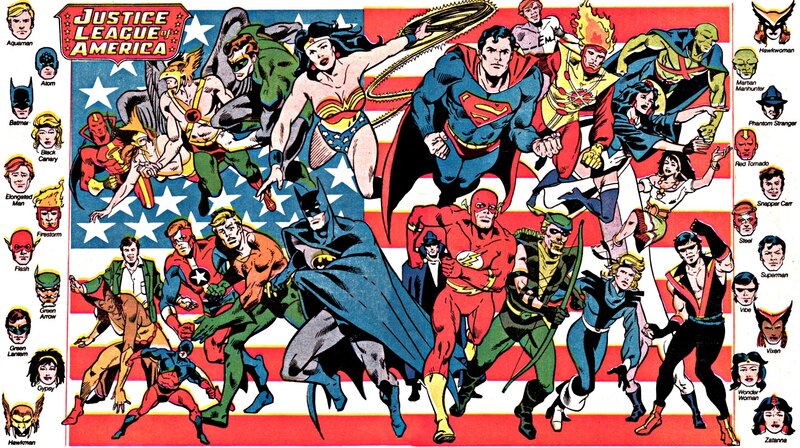 Unlike the Avengers or the X-Men, the Justice League has a fairly iconic core team. That’s not to say that the original five X-Men aren’t iconic, but that book didn’t take off until most of those characters were replaced. The Hulk left the Avengers early on, just as Captain America joined early on, and these days Marvel seems determine to rewrite history so that the Black Widow and Hawkeye were founding members. No, the Justice League’s core seven is consistent in a way that the iconic characters on those other teams aren’t. Funny enough, I started reading Justice League books during the JLI days, so I had no real connection to the Big Seven. Part of that probably stemmed from the fact that DC was constantly trying to figure out just which seven people actually formed the team. Why the quibbling between Black Canary and Wonder Woman, I’m still not sure. I believe at one point it was even a Big Five, with Black Canary replacing Wonder Woman and Superman and Batman left completely off until later. And, of course, with the New 52 they replaced the Martian Manhunter with Cyborg. When the New 52 launched, I posted everywhere and anywhere that the Justice League DC chose was a big missed opportunity. Given the success of the animated series, making the Green Lantern on the JL John Stewart should have been obvious. Also given the success of the animated series, dropping Aquaman and adding Hawkgirl should have been obvious. If you then keep Cyborg instead of Martian Manhunter you get a team that is not only diverse, but represents multiple corners of the DCU. That should have been the team that DC used. I mean, seriously, I posted about this everywhere. It probably became white noise to most people. Lo and behold, the latest incarnation of the Justice League has that team plus Martian Manhunter and Aquaman. So maybe someone was listening. So is the current team the best line-up? Too soon to tell, but it doesn’t seem like it’s headed in that direction. The Rebirth team was pretty great. It should be clear by now that I have no real love for Hal Jordan as the Green Lantern, so adding both Jessica Cruz and Simon Baz to the team was a fantastic idea. It also served to diversify the team just a little bit more. 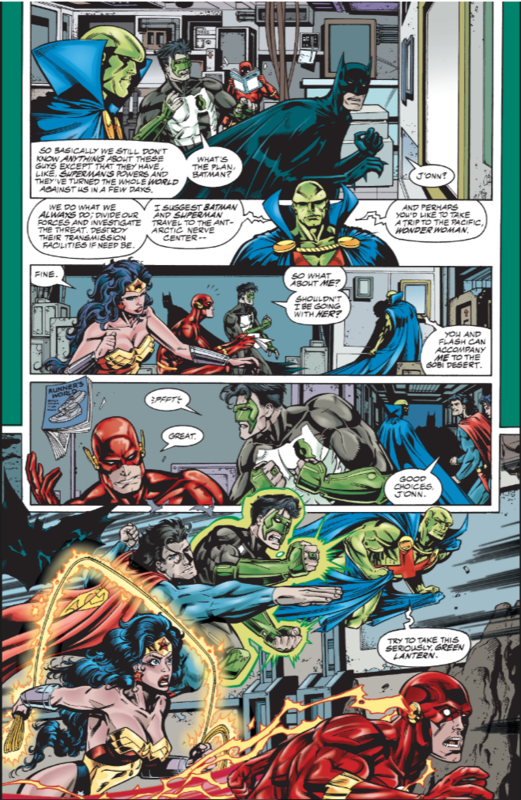 The through line holds, though: the best Justice League team is some version of the Great Seven, the Five Families plus to other relatively iconic DC characters. Years after the “Bwa-ha-ha” version of the Justice League had gone by the wayside, the team languished in mediocrity. There was really only one way of revitalizing it: bring back the big guns. It was the perfect time, after all, as Warren Ellis had made wide screen superhero comics all the rage over in the Authority. If I remember correctly, this was the first time DC had reformed the Great Seven since they’d started trying to write them out of history. But there were two big differences between this team and the one that started the Justice League so many years ago, and they are a big reason why this is the best Justice League team of all time: Wally West and Kyle Rayner. 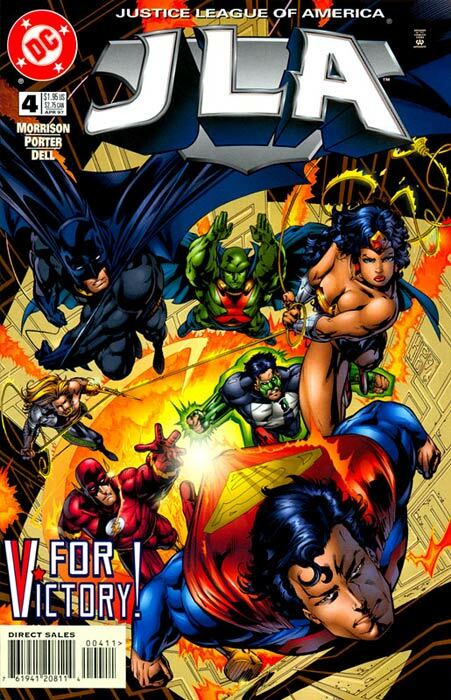 The additions of Wally West as the Flash and Kyle Rayner as the Green Lantern on the Justice League absolutely made the book. Suddenly, you have these five, iconic characters working with two guys who were trying to live up to the guys who came before them. The dynamic was perfect. Superman refers to them as “the boys,” as if they are the children to the rest of the team, but he doesn’t mean it in a bad way. They’re the next generation, and I think the older generation was happy to have them. The relationship between the two of them was also great. Wally was the older brother who’d been sitting at the grown-ups’ table for a while now and he wanted to make sure that Kyle knew it. Kyle was the younger brother who couldn’t believe he was “playing with the Beatles,” and doubted himself whenever he was paired with anyone other than Wally. They bickered and fought, usually during battles, and it was always entertaining. 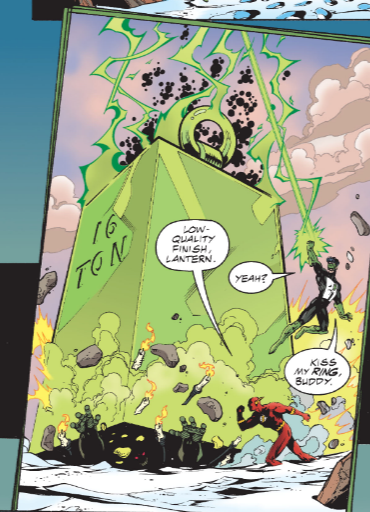 In fact, the Kyle and Wally dynamic actually played upon a great aspect of J’onn: his straight man persona. That was played up a lot during the “Bwa-ha-ha” days, but it actually worked better for me this time around, because it felt more parental; J’onn was trying to help Kyle and Wally grow into their own as heroes, while he was more or less tolerating Booster Gold and Blue Beetle. 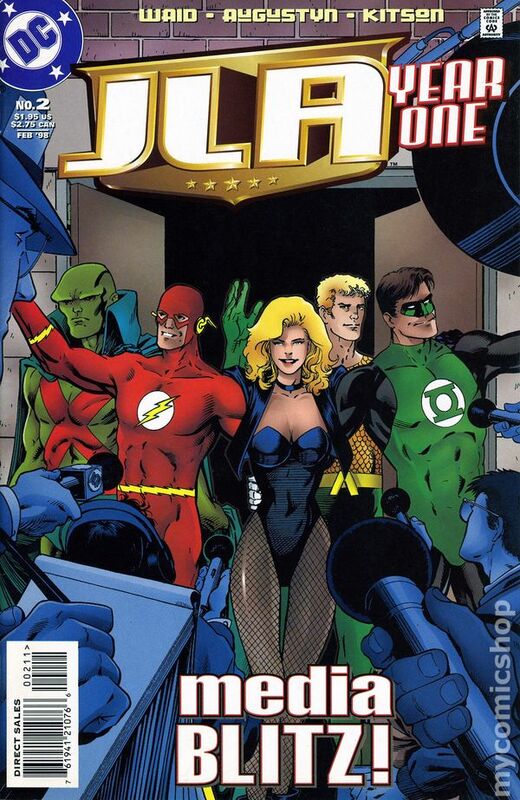 So, yeah, in the end, my Justice League of choice was the one that returned in 1997. It’s probably not surprising that, just like my favorite X-Men and Avengers teams, there’s little chance that we’ll ever see this one again.